“12 years as Guardian of Mt. 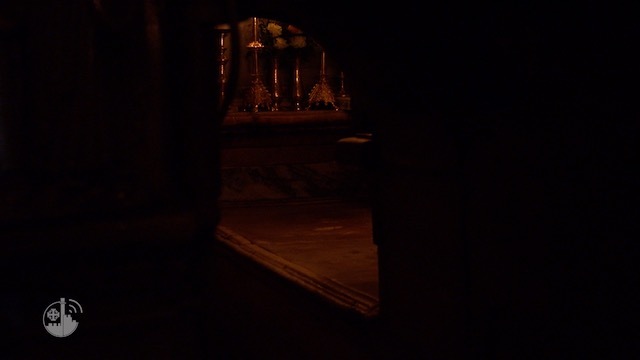 Zion and the Holy Sepulcher.” This is the subject of the special video produced by the Christian Media Center concerning Fr. Pierbattista Pizzaballa, Custos Emeritus of the Holy Land and now the newly nominated Apostolic Administrator for the Latin Patriarchate of Jerusalem. Elected Custos in May 2004, Pierbattista Pizzaballa was chosen to serve two more terms in 2010 and 2013. The longest-serving Custos in the history of the Franciscan Order, Fr. 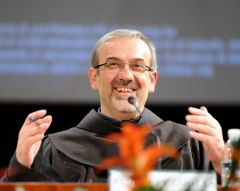 Pizzaballa has, “with courage and freedom” (as Fra Claudio Bottini of the Studium Biblicum Franciscanum puts it), brought a new spirit to the Custody, opening doors and windows to the world. Among these innovations, many regard the foundation of the Association Pro Terra Sancta, of which he was president for the duration of his mandate as Custos, to be his most important. Founded in 2002, the Assocation, thanks to Fr. Pizzaballa, has acquired a new importance as the lay, operational branch of the Custody in service of the Franciscan Brothers, and is active wherever the Brothers are present. These (and many other) initiatives have been made possible thanks to the close cooperation between the Custos and the Association Pro Terra Sancta. This collaboration has also found expression in social work: there is the effort in Bethlehem, for example, where the Association pro Terra Sancta is working with the Franciscan Social Services, as well as collaboartion with the Franciscan friars in Syria—where conditions are critical because of the conflict—where the Association also provides aid. The Association thanks Fr. Pierbattista Pizzaballa, for his twelve years in office and for his productive collaboration with the Association Pro Terra Sancta, and wishes him the best in his new position. Thank you from the heart, Fr. Pizzaballa!